Ed asked Slab to create a website where he could display all of artwork, tell visitors about himself and his teaching. 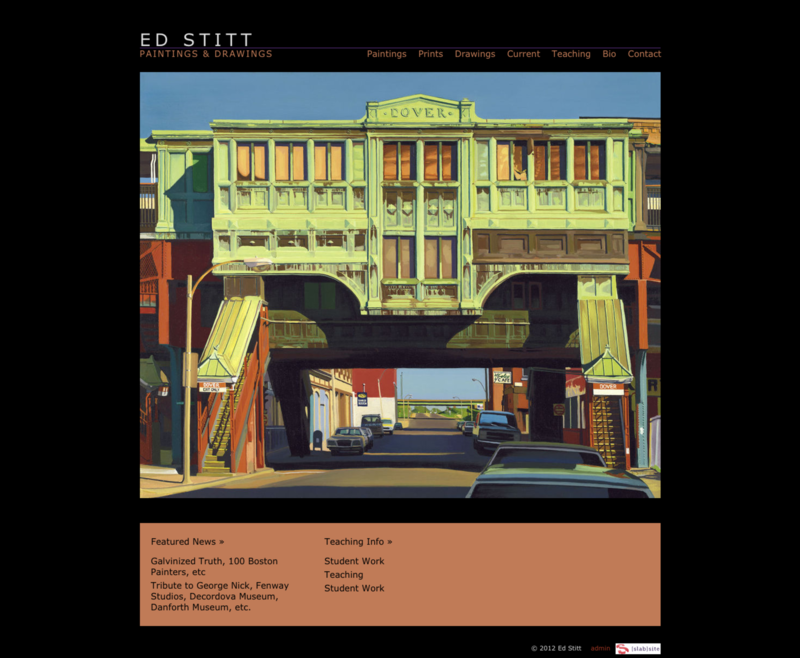 Ed Stitt has been living, painting and teaching in Boston for 25 years. His work is figurative and concise, using sound drawing and a strong sense of light to convey his vision of the world. Slab assisted in creating a site that showcased his work without interfering.